We’ve all been in the situation where it’s getting late and it becomes exceedingly difficult to stay focused and keep our eyes open, but we want to stay up and finish just one more episode of our latest binge-watching session, or complete just one more important task, but alas our bodies refuse to allow us to stay conscious indefinitely requiring use to crawl into bed for some necessary shut-eye. If it were up to me I would discard this whole notion of sleep, this hindrance to enjoyment and productivity; staying awake for the rest of my life! Imagine how much we could accomplish, for we spend approximately a 3rd of our lives being confined to a mattress wasting away precious time for which we only have a finite amount of. Not only is the practice of sleeping often treated like an illness in need of a cure, social stigmas often peg those who making sleep a priority as lazy or unproductive. Even intelligent individuals of their time have gone as far as to vilify the act, deploring this most primitive of activities. Despite social views on the matter; never needing to sleep truly does sound appealing, however, the idea is, unfortunately, counterintuitive to the very nature of human beings. Sleep should, in fact, be given the same appreciation as being awake, for humans don’t operate the same as robots; having the ability to be constantly on and live forever, we, on the other hand, are alive and are infinitely more complex than any machine. The human body is a living breathing organism that requires food and water in order to prolong our survival, and yes this includes our need for sleep. Several studies have linked sleep to overall physical and mental health, and a lack thereof can cause significant changes in the body that increase the risk of serious health concerns. This goes without saying, but often goes neglected leading to decreased performance, slower reaction times, and the increased likelihood of making errors. It is estimated that 31% of drivers will fall asleep while at the wheel at least once in their lifetime; leading to an estimated 100,000 accidents per year just because of tiredness. Sleeplessness in the hospital setting can spell devastating effects to unknowing patients, as fatigue increases the risk of medical error. Extended shifts and long hour’s physicians often subject themselves to have been found to lead to decreased medical judgment and cognitive decline putting patients at risk to otherwise avoidable outcomes. Being awake puts a great physical toll on the body, consistently requiring the energy to stay active and maintain homeostasis (equilibrium). Sleep is required in order for the body to take a break from this arduous task; diverting resources to healing and repairing your heart and blood vessels; which are constantly under a degree physical strain throughout the day, as well as maintaining a healthy balance of hormones involved in hunger and satiety (ghrelin/leptin), growth and development (growth hormone), and regulation of blood glucose levels (insulin). Your very immune system requires restful sleep in order to function optimally, helping to better defend against harmful infection. Those who are in extreme sleep deficits put themselves at risk for developing heart disease, kidney disease, high blood pressure, obesity, diabetes, and even stroke. The human brain is arguably the most complex organ in the body, with the most revered scientists and researchers still not completely sure exactly how it functions, but direct links to sleep and brain function can be appreciated. Throughout the day the brain is bombarded with information and stimuli, and getting a restful night’s sleep aids the brain in making sense of it all; retaining what is useful and discarding what is not. 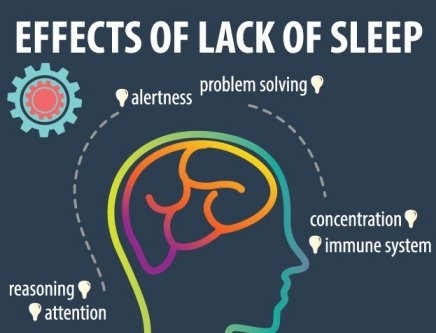 Studies have shown that sleep deficiency can alter particular parts of the brain, affecting learning capacity, memory formation, and problem-solving skills. Emotion and behavior may also be affected, with sleep deprived individuals being linked to mental disorders, depression, risk-taking behavior, and even suicide. 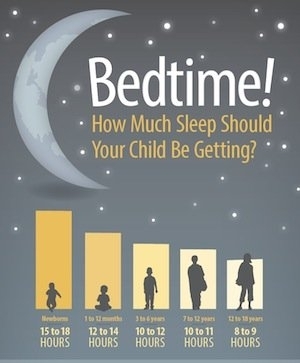 While the recommended amount of sleep for adults averages between 7-8 hours, it is important to keep in mind that this is simply an average, with some individuals requiring more or less; while still feeling refreshed and well rested. I personally tend to air on the lighter side of the amount of time I spend sleeping, but occasionally I overdue it; sadly often paying the price, as I truly don’t feel 100% the next day. 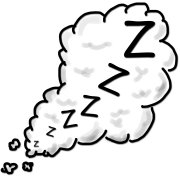 As I move forward, however, I will make more of an effort ( as we all should) to discard poor sleep hygiene practices, by avoiding electronic devices, bright lights, and other various stimuli for at least 1 hour before bed; treating sleep less as a chore and more of method of maintaining a healthy lifestyle.